***THIS GROUP IS TAKING A BREAK WHILE LOOKING FOR A NEW LOCATION! If we don’t have enough players to make more than one full table, players from the active table will be rotated after each game with those waiting. WANT TO LEARN? Drop by and we’ll teach you. 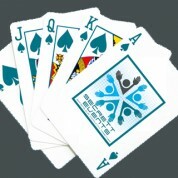 If you are competitive and get angry when you play euchre, please stay home and play online. LOL No, seriously!